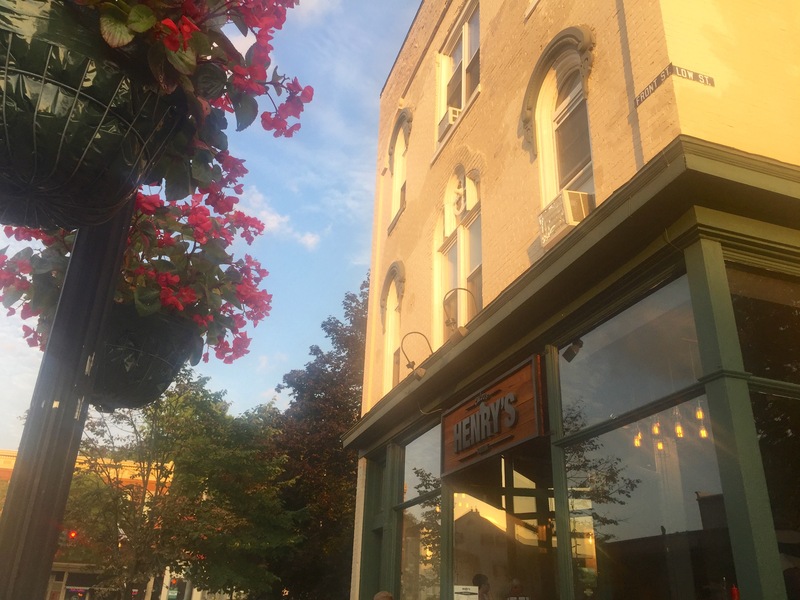 Last week my husband and I had a delicious dinner at Henry’s Irish Tavern in 19 Front Street in Ballston Spa. I don’t know why I always thought Henry’s was a more chic-chic restaurant so it wasn’t on top of my date night wish list. Well, I finally went inside to find a very inviting and friendly pub atmosphere. (Oh, and then I noticed that it is an Irish Pub). I have been eating really healthy this summer so I’m craving fall food. I was excited to see a Thanksgiving type of entree, In-House Roasted Turkey on their dinner menu. It was served with buttery mashed potato and cranberry chutney. Yes, it was as delicious as it looks in the photo. (I didn’t eat the entire yummy butter soaked fancy bun hiding under the gravy). My husband opted for the fish and chips, which he happily devoured. For dessert, it got worse. Our friendly server recommended the peanut butter brownie pie. My husband had to pipe in with, “Only if we can have it a la mode.” So, we shared that gooey chocolatey dessert too. No regrets though! Date nights are infrequent and you gotta enjoy yourself, at least once in awhile, right? Henry’s Irish Tavern in Ballston Spa is a great place to meet with friends or for date night.